High Resolution Site Characterization (HRSC) or “smart” technologies are fundamentally shifting contaminated site management strategies. 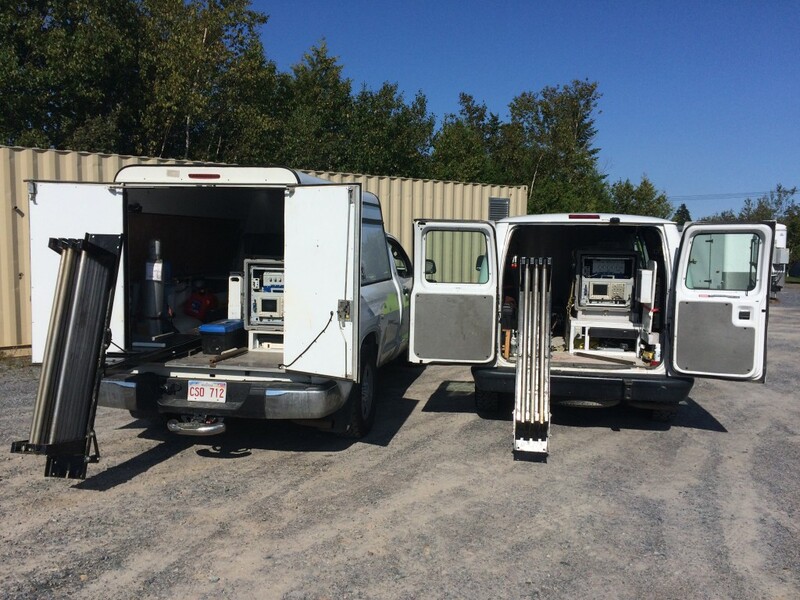 These technologies support holistic, cost-effective management approaches through scale appropriate measurements of contaminant distributions and resident media dynamics. This critical leap forward reduces uncertainty supporting fast, effective contaminated site cleanup. 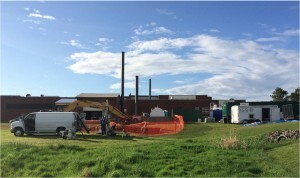 SCG’s remediation services were retained to assist a consulting engineering firm address an emergency home heating oil spill. 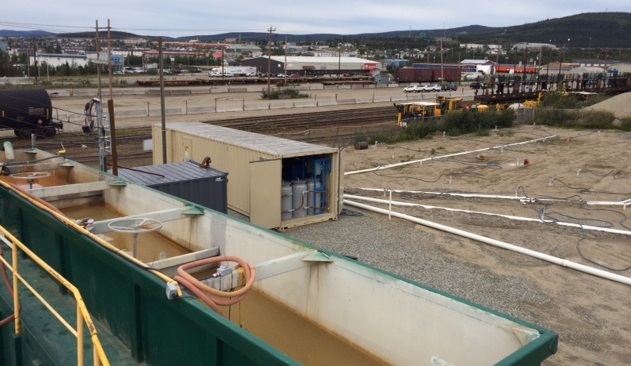 An above ground storage tank failure resulted in the rapid release of approximately 10,000 L of heating oil. This oil ran down a small incline prior to infiltrating the subsurface and migrating down gradient. Response time is critical in an emergency spill scenario. Active plume migration leads to increasing costs, liability, and cleanup difficulty. Unfortunately traditional sampling and monitoring techniques do not support rapid identification and removal of contaminants, necessitating the long-term management and cleanup of a growing problem. In response to this emergency SCG proposed to utilize the UVOST technology to rapidly assess the subsurface LNAPL distribution for removal. This technology can delineate PHC soil impacts at the cm scale in real-time. This enabled rapid mapping of the spreading LNAPL plume. Remedial excavation was immediately initiated in conjunction with LNAPL and groundwater pumping in the heart of the plume to halt migration. Remedial excavation was then utilized to recover the remaining residual oil impacts in the soils. All of these efforts were guided in real-time by high resolution UVOST data. Real-time delineation of LNAPL plume distribution. Identification of heterogeneous leading edge “fingers”. Identification of plume migration through cross gradient infrastructure conduits. At plume center – Rapid excavation and installation of hydraulic control, LNAPL skimming and water treatment. 7, 000 L (approx. 70%) of LNAPL recovered. Remedial excavation used to remove remaining LNAPL impacts. Three week completion – results confirmed via analytical sampling. Rapid, real-time delineation and remediation – halt in migration. No machine standby, no lag time, immediate action. HRSC enables the surgical removal of all contamination leading to efficient, effective program. No long-term liability, management and costs. Remedial excavation guided by the real-time UVOST results. The high-resolution UVOST results enables the precise identification and subsequent remediation of contaminants, reducing cost and uncertainty while addressing environmental liabilities. Of note the rapid response prevented the contamination of a significant wetland immediately down gradient of the property.